The new generation of Milwaukee Fuel is here and the M18 FPD-502X is one of the first models to have the Next Gen Fuel makeover. 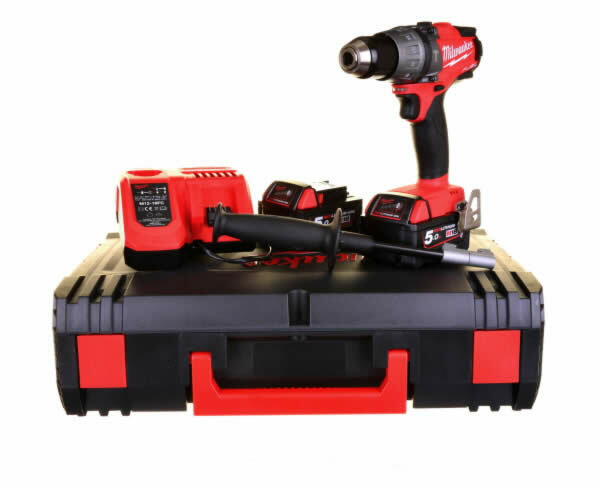 Fuel Next Gen is a combination of a POWERSTATE motor, REDLINK battery technology and a brushless motor. 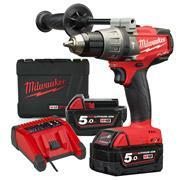 Its Milwaukee top of the range brand that makes use of all the latest cordless power tool technology. 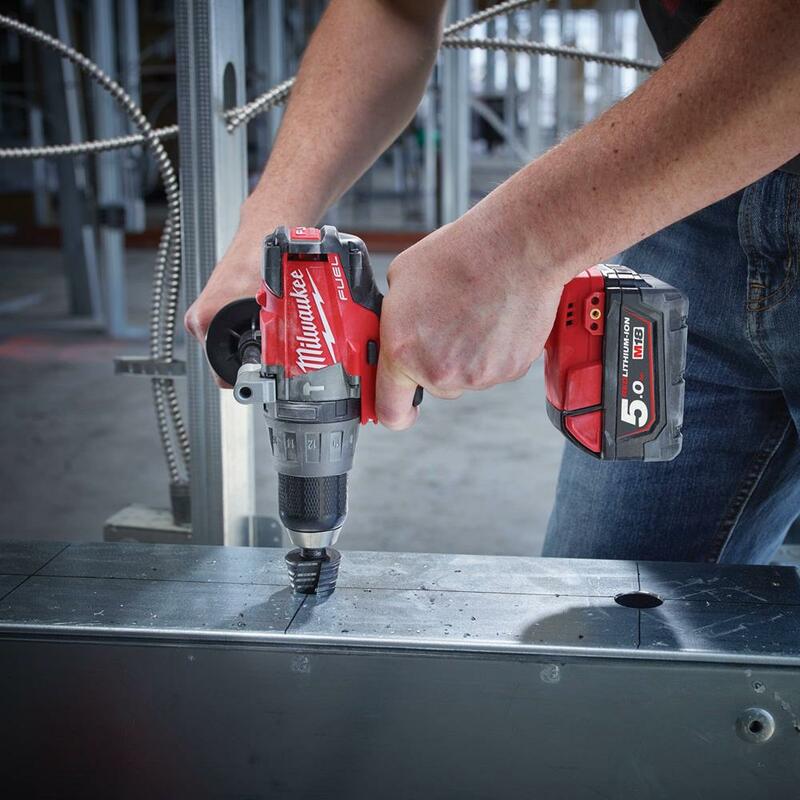 Next Gen is Fast, Stronger and Smaller with up to 60% more power. The Heavy Duty M18 FPD combi drill is a 3 mode drill (Hammer, Rotary and Screwdriver) that boasts some of the best spec and stats around on the market today. 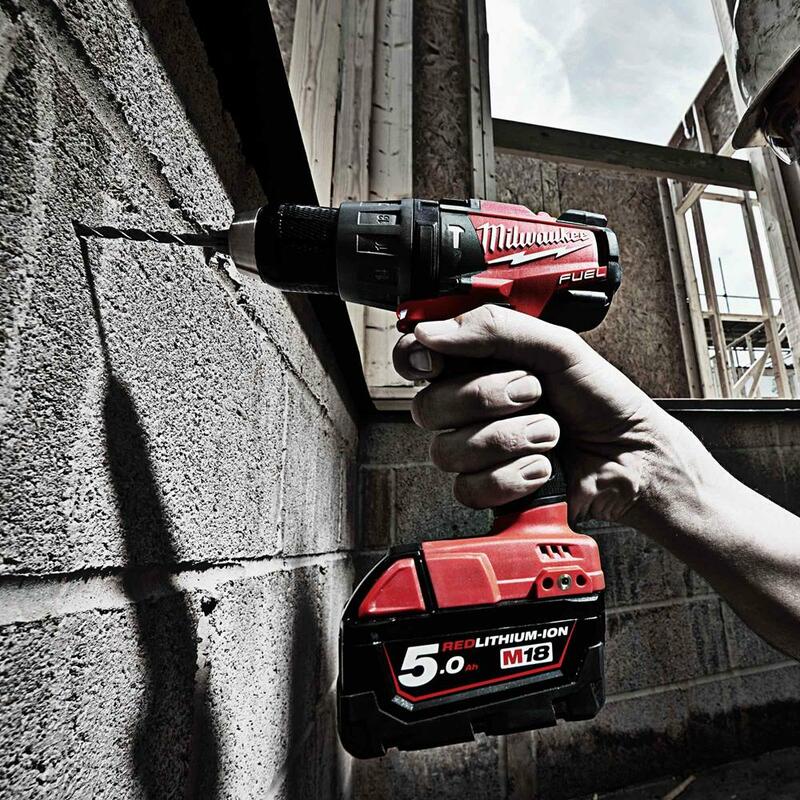 Its compact body (just 197mm) hides a very powerful brushless motor thats capable of delivering up to 2000rpm which in turn can produce up to a massive 135Nm torque which for a combi drill is off the charts. The percussion rate is also an extremely impressive 32000 BPM and you can use drill bits up to 65mm width in wood and 16mm width in steel. 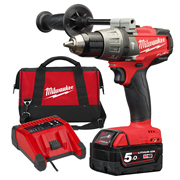 Due to the massive levels of torque generated this model comes complete with a side handle which is required when dealing with a combi drill with such high levels of torque.